It is challenging to be a great truck driver. It is made easier when you're working with top trucking companies. Many people are not aware of how difficult trucking jobs can be can be. You drive a large truck for long periods of time, frequently without any human contact. It is interesting to view the world from the inside off your cab. If it happens on the road, you're bound to see it from the inside of the truck, and in that sense there is some entertainment and human contact along the journey. It is difficult to explain truck driving jobs to other people. The last 20 years have seen incredible developments in technology which have revolutionized the way the trucking industry runs in almost every aspect. Routes are automatically calculated, and almost everything is automated. Truckers are regulated heavily throughout their day-to-day activities, and are expected to uphold high standards, especially when working for top trucking companies. Drivers are expected to keep logs of their progress throughout the workday. Regulations and monitoring have really limited the way truckers can run their rigs. Drivers are frequently subject to rules and regulations created by people who've never driven trucks; this can be a little frustrating. Here at CDLjobs.com, we have created a database of trucking jobs. Our website helps you find top trucking companies easily and for free. It is important to us that truckers are supported in their lifestyle. You can come visit our website to find out more about what we can do to make your search for CDL jobs easier. The database allows for different types of searches and you can specify what type of trucker you are; in this way, you get relevant results that will lead you to a good job faster. We all know that truckers have no time to waste. Time, after all, is money. It is obvious that not everyone can be a good truck driver. The lifestyle is challenging and complex, with little room for error. Many companies are having trouble filling their jobs, and are in need of both experienced and beginner drivers. Whether you are looking for local jobs or out of state jobs you can count on us to help you find your way in this industry's maze of options. Finding a job should be kept simple. That way you can focus on driving, which is the most important part of the job. 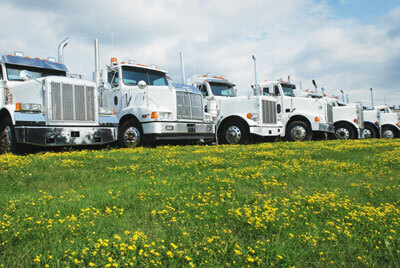 Come check out CDLjobs.com to find the top trucking companies for which you have always wanted to work.